Specialist electrical contractor, Brand Engineering SA (Pty) Ltd, has carried out the highest number of utility scale solar Renewable Energy (RE) installations in the RE industry in South Africa. It has become a key construction partner for RE developers, and is responsible for the generation of 360 MW of power for Renewable Energy Independent Power Producer Procurement Programme (REIPPPP) projects and other related renewable energy initiatives. Established over 45 years ago, Brand Engineering, together with its two BBBEE companies, Besamandla (Western Cape) and Besamandla (Eastern Cape), operates in southern Africa and the African continent. “Our exposure to the multi-disciplined nature of the RE projects enables us to offer engineering, procurement and construction (EPC) solutions for the civil, electrical and mechanical scopes of these projects,” explains Herman Kriel, Group Managing Director for Brand Engineering. The company is the only South African contractor with experience and exposure to all types of renewable technologies. Brand Engineering ventured into the RE market when the REIPPPP commenced. In addition it has completed six separate grid connection projects totaling 127 MW. The company has multi-year operation and maintenance (O&M) contracts in place for various projects. It guarantees the stipulated power generation, availability and carbon savings for all the projects. “Utilising online technology, we monitor environmental conditions and all procedures and progress on an ongoing basis from our Cape Town head office,” says Kriel. In addition to the PV and wind REIPPPP installations, Brand Engineering has commenced a Concentrated Solar Power (CSP) initiative. It is responsible for the electrical infrastructure, more specifically electrical cable and collector installation, for the 100 MW Ilanga CSP in the Northern Cape, which is currently under construction. 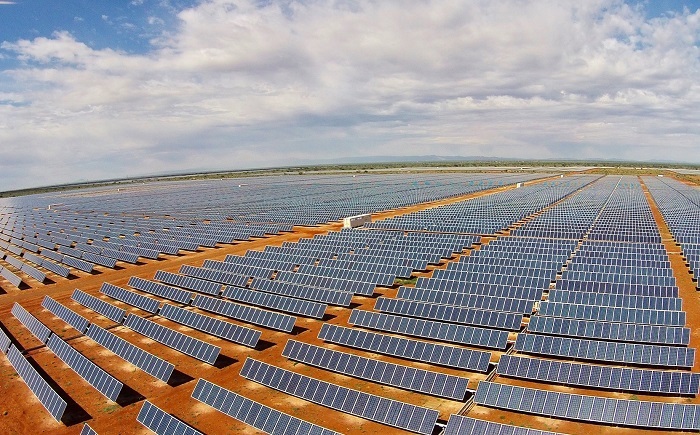 In a more recent, ground-breaking RE development, Brand Engineering completed the construction of two solar plants, which are now each generating 500 KW to power Upington and Kimberley Airports. These were full EPC contracts and the Brand Engineering Group was responsible for mechanical, electrical and civils work, as well as grid connection and ongoing O&M. Brand Engineering subscribes to and is fully compliant with the socio-economic requirements of the projects it undertakes and in fact exceeds stipulated targets. It focuses on employing local workers where the projects are located. “Transferring and developing skills is part of our commitment to our employees, and this applies to both permanent and project-based employees,” says Kriel. Depending on the size of each project, Brand Engineering employs from 20 to 600 skilled and unskilled people per project. The company emphasises ‘safety first’ and has a five Star Safety Grading. ISO 9001:2008 certified for Quality Management Systems, Brand Engineering last year won the Electrical Contractors Association’s (ECA) ‘Reticulation Contractor of the Year’ award for renewable projects. The ECA Presidential Excellence Awards recognise quality workmanship and professionalism within the electrical industry. Brand Engineering SA (Pty) Ltd is a specialist electrical engineering contractor providing electrical, instrumentation and automation installation services for commercial, industrial, infrastructure, mining, marine and energy projects. Together with its two BBBEE companies, it delivers industry-leading electrical engineering, procurement and construction solutions across South Africa and the African continent. Brand Engineering is proud to be playing a significant role in South Africa’s transition to renewable energy generation. This is in line with its vision to ‘provide a brighter future’ for the people of South Africa. From full engineering, procurement and construction (EPC) and balance of plant (BOP) construction to power system integration and ongoing maintenance, it is a highly experienced solar, wind and alternative energy facility contractor. Having constructed many renewable energy projects for government, corporate, commercial, private sector and infrastructure customers, it can successfully provide our services in urban environments as well as isolated locations.